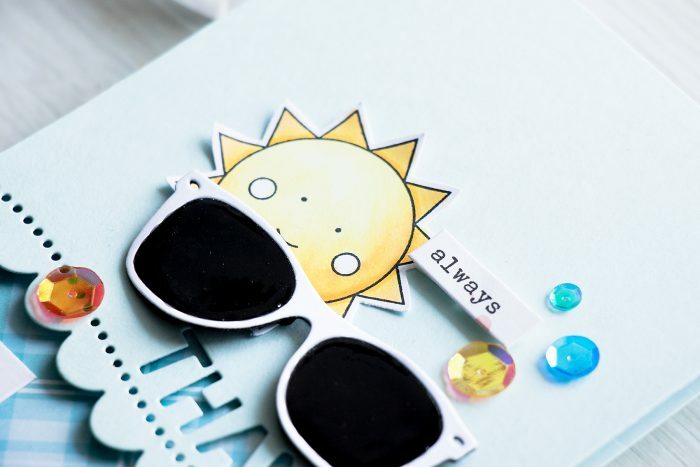 A few weeks ago when I shared a card with the sunglasses die I mentioned that I had one more idea to use sunglasses together with a sunshine die cut and make another card. I created a base for the card I’m sharing today quite some time ago (when I just got the kit), but I couldn’t find anything that would look good on it, so I had set it aside and it was sitting on my desk ever since. Luckily in all of my creative mess, I spotted a white sunglasses die cut on my desk and it turned out to be a perfect match for this card. I also created a black die cut and adhered white frame on top. Following the advice from one of the comments on my video I added a layer of glossy accents to the glass part to make it more realistic. 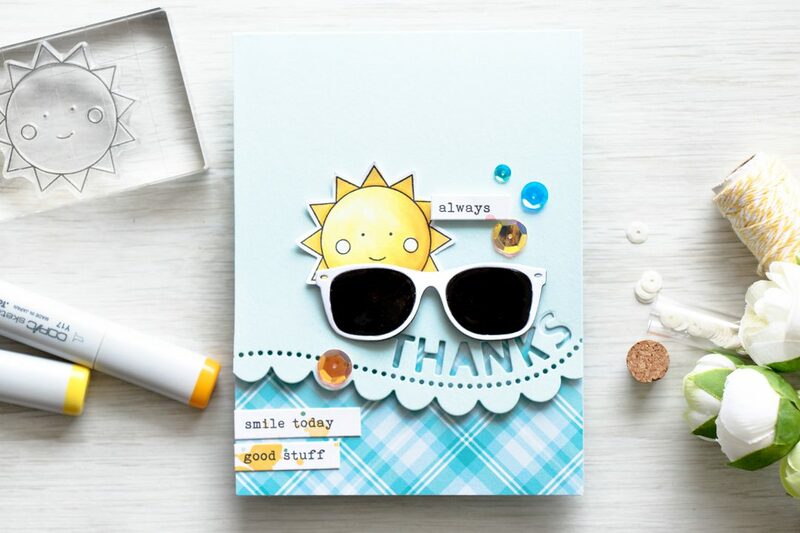 I also layered a Copic-colored sunshine behind the glasses and embellished this card with a few sentiment stickers and sequins. The latter were adhered using a glue pen from the kit. 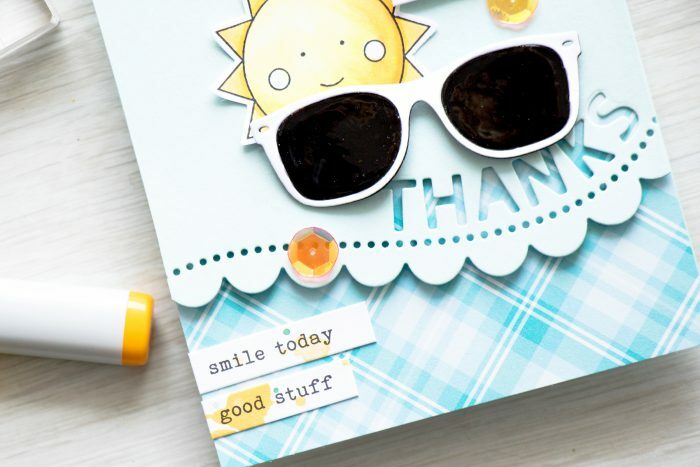 Such a sunny and happy card! Love colors you used and white sunglasses frame! Now that is a happy “Thank You ” card. How cute! !! So cute! 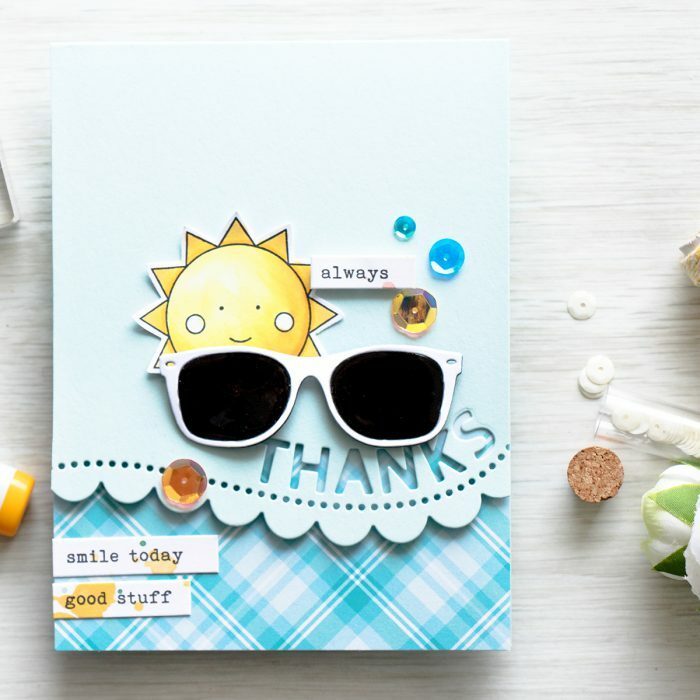 I love the sun with the sunglasses and that border die.